Fully adapted to the modern dynamic of these days ‘glamping’, Slowmoov proposes you accommodations all from wood (caravans, pods, cabins, boats, etc.) fully equipped and with respect for the environment, in the heart of preserved nature. Your stay in one of our villages will give you the possibility to leave the created paths and enjoy an amazing holiday in the countryside. The pod is a little wooden cocoon, an accommodation in between a tent and a hut, that goes perfectly in the nature and the landscape around it. This accommodation for 2 persons is ideal for a low budget stay in the middle of nature. An accommodation original in all his simplicity, it’s time to spend a night! It’s in the Corrèze, at Chamberet, on a lovely, hilly and green site, next to a lake where Le Village des Monédières opens his doors for you. With his ecological accommodations, all made of wood, in the middle of an orchard, here you live in a perfect harmony with nature for a unforgettable and relaxing holiday. Your stay in the Limousin will be placed in the category of relaxation and will give you the possibility to experience the bohemian life, a breath of fresh air in de the daily life. 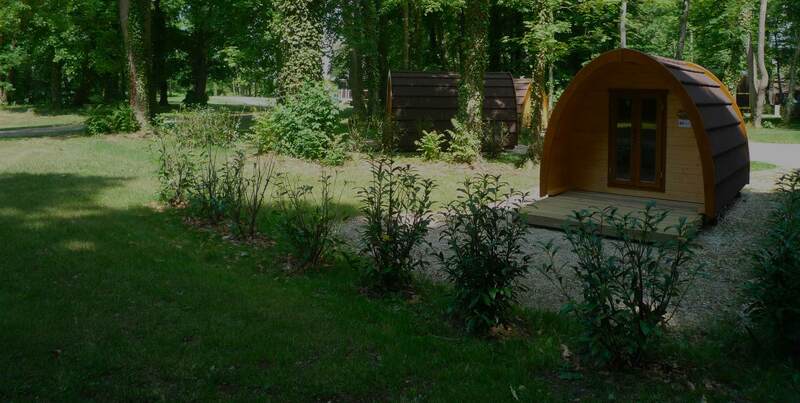 The Village de la Champagne invites you for a glamping holiday, in the middle of a forestry landscape, just a couple of minutes’ walk from the centre of Bar sur Aube and his shops. 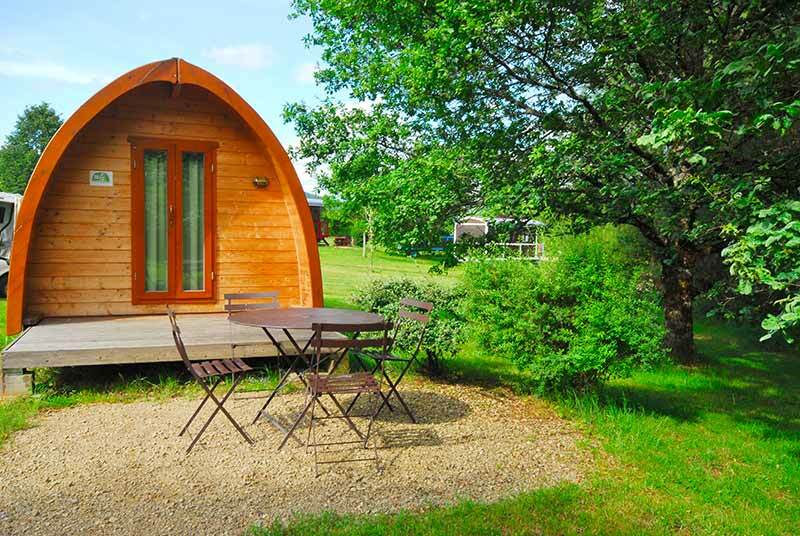 You will appreciate the variety of glamping accommodations they propose: Caravans, pods, cabins, etc. but also the composure of several places and the quality of services offered on site: sauna, indoor heated swimming pool, regional specialties, etc.